"Meet Your neighbor-the european Parliamentarian "
The project "Meet Your Neighbor - the European Parliamentarian" aims at linking the national Parliament of the Republic of Serbia with MPs from the European Parliament and representatives of Serbian civil society with the neighboring EU member states (Hungary, Romania and Bulgaria) in a constructive and tailor-made dialogue on current issues relevant to the EU and the EU accession process of Serbia. European Movement Zrenjanin had cycle of trainings on ubject of recycle and enviromental protection. The participants were final year students of primary schools from Zrenjanin. Within this project we have held seminars and workshops where we manage to raise ecological consciousness of the students. We aslo printed liflets and proposed school networking with the aim of supporting future ecological activities. Workshops were held once per month during the first school semester. "18 YEARS OF EUROPEAN MOVEMENT IN SERBIA-BELGRADE AND 13 YEARS OF EUROPEAN MOVEMENT IN ZRENJANIN"
EMinS Local Council in Zrenjanin was founded on November 28, 1997. The Mission of EMinS' Zrenjanin council is to further develop democratic processes in the region of Banat; the promotion of European values, i.e. lobbying for Europe. 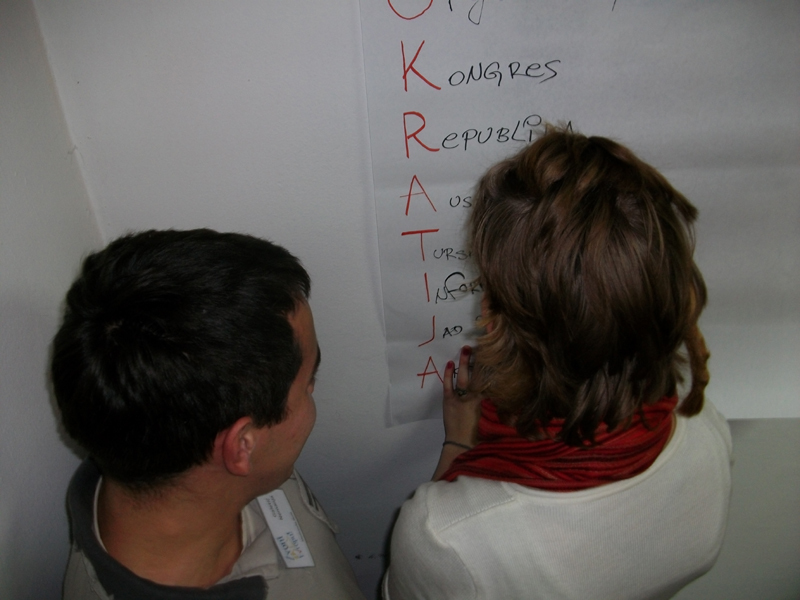 Nine workshops were held since the end of September till the end of November within the project " Ring for Europe". 20 senior pupils of Zrenjanin secondary schools took part in this project. The topics that the pupils were discussing and learning about were about the history of EU, the functioning of EU, the integration of Serbia within EU and so on. During the workshop " European Caffe" , Mr Hans-Urlich Suedbeck, the head of the political department of the German embassy, was the guest and that workshop was attended by regional media representatives , too. On 30th November, the participants of this project, visited the Regional Development Centre-Banat, founded by EU. During this occasion the pupils were informed about the establishment of this centre and it's functioning on the territory of Banat. Seminars within the project â€žRing for Europeâ€ť have started at the end of September and up until now, 5 workshops were organized. Trainers Dragana Gulic and Natasa Circic are conducting seminars to high school students on the subject of international organizations, the history of origin of European idea and EU integration and institutions. There are 20 participants on seminars from high schools in Zrenjanin: Zrenjanin Gymnasium, Electro technical and construction high school, Medical high school, Chemical high school, Agricultural and musical high schools. A new cycle of courses in English within the framework of the project ' Communication Zone' September- February begins on the third of September. Groups for all levels of knowledge will be formed on the basis of entrance exam taken. You can apply and/ or get information on workdays from 11- 13, beginning from 16- 28 August ,tel. 023/ 511- 187. Embassy of Federal Republic of Germany in cooperation with 5 German Foundations (Konrad Adenauer, Friedrich Ebert, Friedrich Naumann, Heinrch Boll i Hanns Seidel), German Organization for Tehnical Cooperation (GTZ), European Movement in Serbia as local partner and students network AEGEE, organized project Welcome to Germany. Welcome to Germany project is motivated by an obvious lack of opportunities for student population in Serbia to learn empirically about the customs, culture and the overall functioning of the EU Member States. According to study of EU Integration Office of Government of Republic of Serbia 79% of youth in Serbia didn't cross the border in the last year, and only 5% of those who traveled had opportunity to visit Germany. The essence of Welcome to Germany project is to enable up to 60 young people from Serbia to travel to Germany and organize them a creative program aimed at learning about the functioning of German institutions, values, culture and customs. By getting to learn about the institutions, culture, customs and citizens of one of the founding EU Member States, young people from Serbia will be able to establish important contacts in Germany, which will contribute to the overall cooperation and understanding between the two countries. The competition is open from 28th Juny to 10th Septemer 2010. An initiative for the City candidacy for the title ' EUROPEAN CULTURE CAPITAL CITY' in 2020. Organizations supporting candidacy introduce themselves within the framework of ' Culture Market '. European Movement in Zrenjanin makes its contribution to local culture and history with the project ' Banat Studies ' which will be presented with the brochure ' 600 years of Beckerek'. The presentation will be made during Beer Festival on Trg Slobode 23 - 28 August. The basic idea of this project is to inform and educate group of scholars (third and fourth year fromBelgrade' highschools and from towns Novi Sad, Subotica and Novi Pazer) about values, structure, history, youth policy and lifestyle in EU. Beside this issues, part of lecturers will be focused on process of association of Republic of Serbia to EU and on necessity of youth social activism as one way of supporting and preparing Serbian society for EU. Visits to state institutions involved in EU integrations are enclosed within project.
" Raising awareness of highscholars about main aspects of EU through promotion of democratic values and ideas which are characteristic for EU countries.
" Raising awareness about necessity of youth social activism as one way of supporting and preparing Serbian society for membership in European Union.
" Raising level of knowledge of youth about European Union.
" Introduction of benefits for youth in EU joining process.
" Informing young people about Serbian's path to EU. Instructors in Zrenjanin are Dragana GuliĂ¦ and NataĹˇa Ă†urĂ¨iĂ¦. Classes will begin in September 2010. Project is supported by Friedrich Ebert Foundation. The realisation of a major project of European Movement in Serbia "Let' s travel to Europe" started in July. Among 100 best students of final years from the whole Serbia, there were 4 students from Zrenjanin. The first station of their travelling is Berlin where they will continue their travellings according to their choices by the help of Interail cards and pocket money wich was given to them by city of Zrenjanin. Part of a project "Communication Zone" that includes Humanitarian English Language Courses for the season 2009/2010 was finished at the end of June. These coursed include 5 categories of Courses, including FC group as a preparation for international certificate. New cycle of courses (September 2010-February 2011) start on 1st of September. "It rings for Europe!" is a program of informal education for students of the third and fourth grade of secondary schools. Basic idea of this project is to inform and educate students about values, structure, history, youth policy and lifestyle in EU. Special attention is paid to opportunities for young people in terms of continuing their education and improvement of social life. Twenty students from Zrenjanin will be able to attend the program from September 2010. - Lectures in conjunction with workshops. - "European class" - After a series of lectures, participants who have attended lectures prepare and maintain a special class in their schools. - "European cafe" - Informal discussions with the diplomats from EU countries about lifestyle, culture, customs etc. in EU. - Writing essays and their publication - Participants of project will write their impressions and thought about EU in form of essay. These essays will be published on EMINS web page. On June 6th 2010. a representative of Emins Zrenjanin, on a proposal of PAOR organization, organized training "Citizen participation". Training was organized as a workshop that includes education, information and familiarizing participants of the project with public sectors and the ways of their functioning: public (local, regional and state institutions), civil (NGOs, political parties, clubs, informal groups, individuals), and private sector. The workshop was aimed to young people aged 17-23. 05/18/2010 Clemens Koja, Ambassador of Austria, Bjorn Linderfalk, Counselor of the Embassy of Sweden and Jose Bustamante, First Counsellor EU delegation, visited Zrenjanin. In the dialogue section concerning national minorities and the upcoming elections for the national councils participated the President of the European Movement Zrenjanin, mr Nikola Ĺ lajh. In the part of the dialogue conducted at Regional Agency for Socio Economic Development - Banat participated Ana Vujinov, Secretary of the Executive Board EMiSZR and a member of RDA - Banat staff. 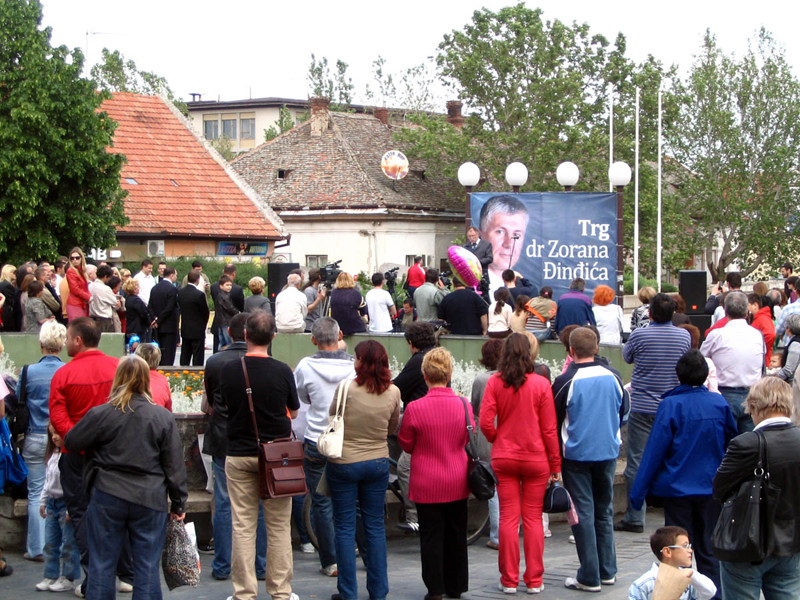 City Council at its meeting on Saturday 8th May voted for changing the name of Republic Square to Trg Zorana Djindjica. The proposal was given by the NGO "New optimism" with the support of other non-governmental organizations, including European Movement in Zrenjanin. 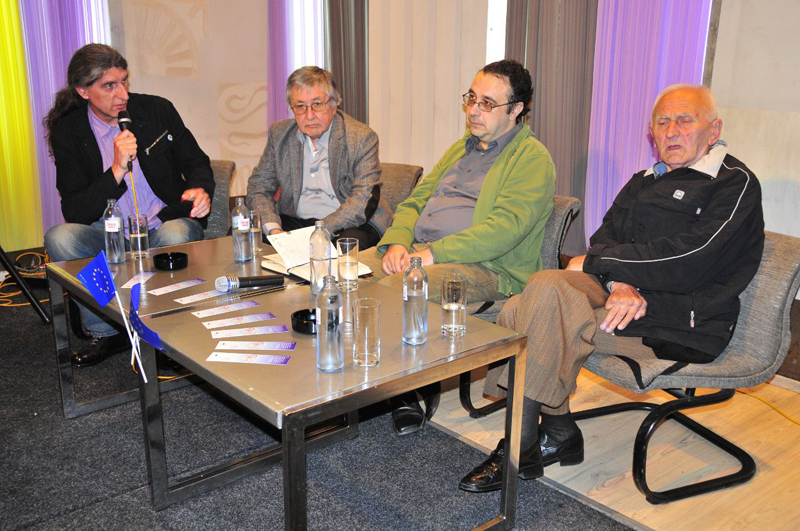 On Sunday 9th May in the Club Zeleno zvono was held a debate named "European way of Zoran Djindjic". The discussion was conducted by Vojin Dimitrijevic, Mirko Djordjevic and Vladimir Ilic. 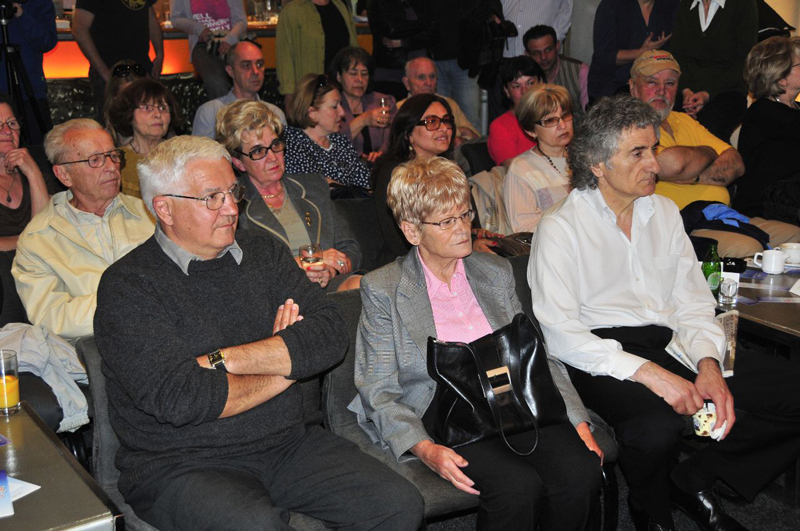 The panel was attended by Dr. Zoran Djindjic's mother, Mrs. Mila Djindjic. 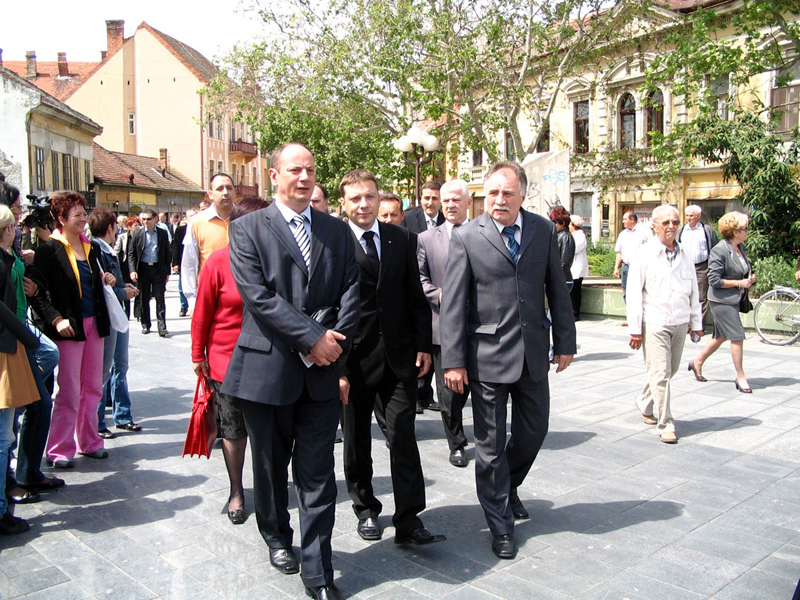 On the invitation of the European Movement in Zrenjanin within celebration of Europe Day, deputy ambassador of the Slovak Republic, Mr Jan Psenica, visited our town. In the morning hours, he met the president of the Municipal Assembly Aleksandar Marton. Nikola Slajh, president of the European Movement Zrenjanin, Zorica Denda, Deputy Mayor and Tibor Vas, member of the City Council for Regional Cooperation, also were present at the meeting. The subject of the dialogue was a possible cooperation of our town with the Slovak foundations. European Movement in Serbia, Local council Zrenjanin in March held the first part of training called "Training of trainers on project management", project funded by the Provincial Secretariat for Labor, Employment and Gender Equality of AP Vojvodina. As part of the training, so the subject matter could be closer to the participants, we processed the problem defined by the participants, in accordance with the defined problem we had processed all topics covered by this training.